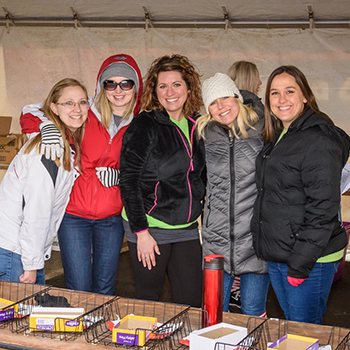 Each year, more than 1000 volunteers from Greater Lansing and mid-Michigan give their time to help at House events. Every volunteer plays a key part in the success of our fundraising efforts. The Ronald McDonald House of Mid-Michigan’s ability to continue to operate is due in large part to the generous support of individual donors, businesses, corporations and volunteers who believe in our mission. If you’re interested in volunteering at one of our events, please contact us. The annual Golf for the House is a four-person, 18-hole golf scramble that raises thousands of dollars to help our House continue to provide a safe haven for families with ill children. Each year, one family who previously stayed at our House is selected to join area supporters at the event. Since 2001, the Run for the House has raised thousands of dollars to give families of seriously ill children a warm, safe place to stay. The 5K Run/Walk, 10K run and Kids Mile are part of the Playmakers Race Series.